Every year for the last several years, the Super Bowl giveaway is one of Cassie's and my favorite's because we get to giveaway a TV and a gift card for food! Woo-hoo!! Now, even if you aren't a football fan, who wants to turn down free food and a TV? So, be sure to check out the giveaway section today for details and to make sure you are signed up by noon tomorrow to be eligible for the Super Bowl giveaway! One of my favorite elements of the Super Bowl are the ads and you might be aware of the Crash the Superbowl contest by Doritos. Here is the link to review the Finalists in this contest! Below are a few of the commericals I think are pretty good and a special one for all you engineers out there! Enjoy! Hope that brought smiles to your faces! I think the one about the middle seat is my favorite and that's the one I voted for. How about you? Which one did you like the best? Please take a few minutes to check out these great stories about electrical safety on The Current Monitor! Optical Light Cable Voltage Indicator = No Voltage At The Door! 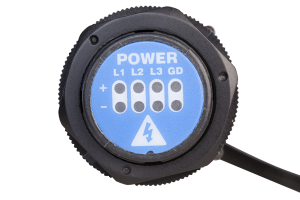 When it comes to thru-door electrical safety, the R-3F-Lxx voltage indicator with an optical cable is a permanent electrical safety device (PESD) designed to keep workers on the safe side of electrical panels by providing them with a no-voltage-to-the-door option. Many international and domestic electrical standards require low voltage panel-mount devices; the R-3F meets those requirements with zero voltage on the outside of the panel. The R-3F uses an optical light cable to transmit LED voltage indication up to a thru-panel adaptor on the outside of electrical enclosures, which allows users to see the voltage status of L1, L2, L3 and GRD while the energized conductors are kept inside the enclosure. 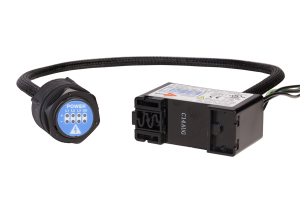 This voltage indicator illuminates for voltages between 20VAC/VDC and 600VAC/1000VDC (non-UL Max 750VAC) its CAT IV/III rating (pending) makes it suitable for use in any location in your low voltage power system. The R-3F uses the same field-proven and time-tested circuitry as other SafeSide voltage indicators (R-3W, R-3W2, & R-3W-SR). The potted construction, redundant circuit design, UL /IEC/AS 61010-01 certification, CAT IV/III rating (pending), integral lead wires, and flexible mounting options allow users to reliably locate it close to 3-phase voltage sources. The different cable lengths lets users mount the panel adaptor at the best location on the enclosure. CLICK HERE to download the over-current protection sheet.